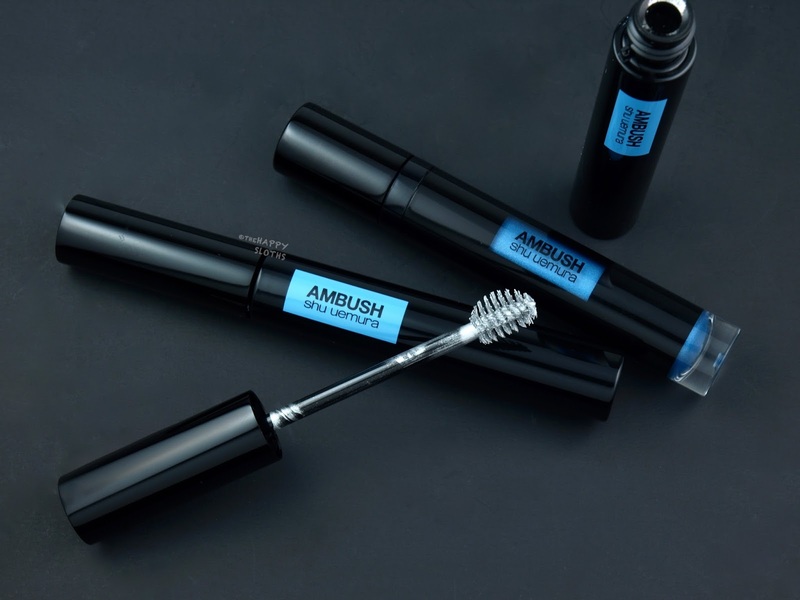 Decked out in a shiny shimmery golden finish and a light blue plaque-shaped AMBUSH x Shu Uemura logo, the Custom Quad Palette can hold up to four of Shu Uemura's shadow refills. In my palette I have the Glow On Blush Refill in "Ambushed" ($19 CAD) and the Pressed Eye Shadow Refill ($19 CAD) in "VVV" and "AMB Nomad". 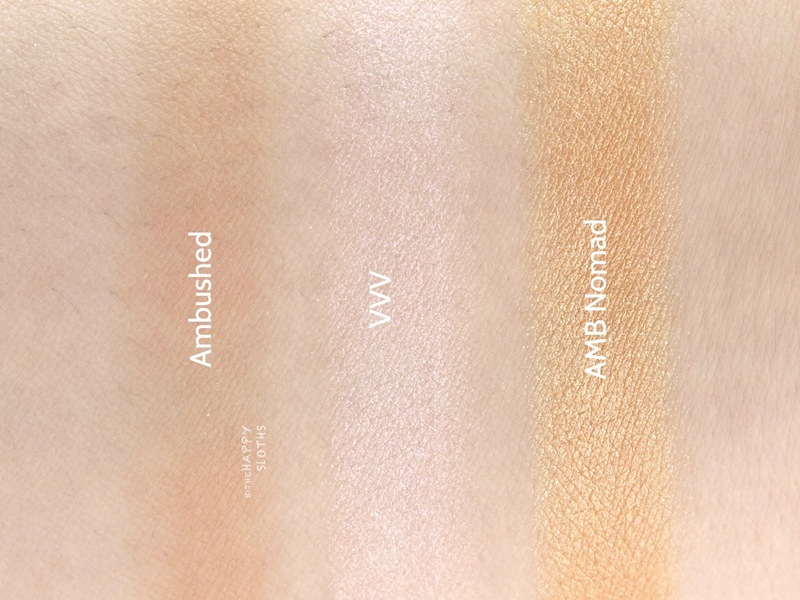 Shu Uemura x AMBUSH | Glow On Blush Refill in "Ambushed"
& Pressed Eye Shadow Refill in "VVV" & "AMB Nomad"
Although "Ambushed" is labeled as a blush, the soft light tan is more like a natural bronzer. The finish is matte and the pigmentation is on the sheerer side. The formulation is also a tad dry and patchy. "VVV" is an iridescent pearl shimmer with just a hint of pink. 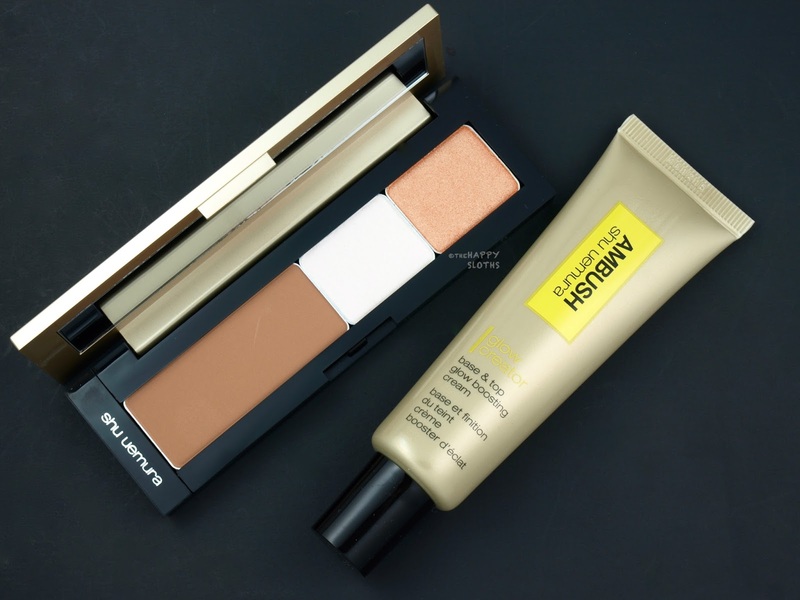 The formulation is pretty sheer so it works better as a highlighting shade. "AMB Nomad" is a golden bronze shimmer. The formulation is buttery and nicely pigmented. A multi-purpose moisturizer, highlighter, and primer, the Glow Creator has a lightweight liquid-cream formulation that's surprisingly shimmery and sparkly. "Warm Glow N" is a light beige champagne that works nicely as a cream highlighter. The product doesn't contain any chunky glitters but I wouldn't recommend using this as a primer. The product blends nicely and it sets to a dry-touch finish. 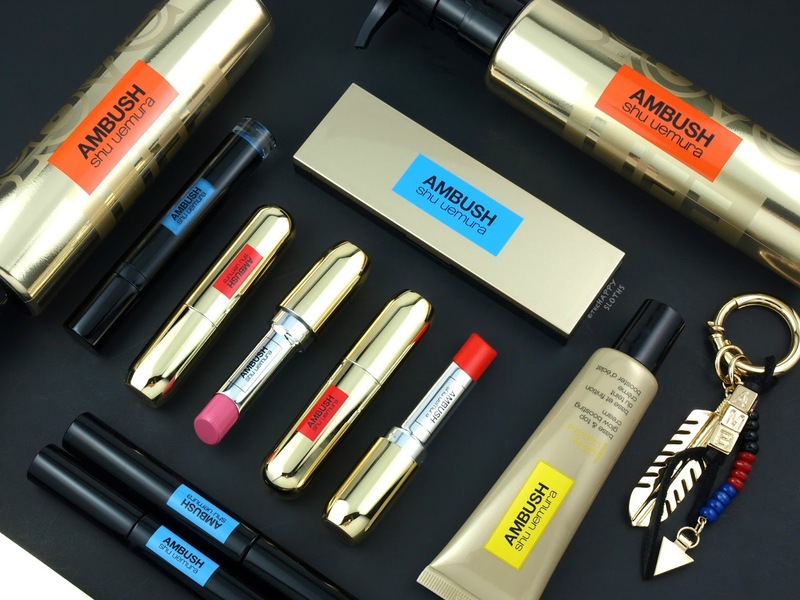 Shu Uemura x AMBUSH | Stage Performer Glow Creator in "Warm Glow N"
Housed in a stunning gold chrome lipstick bullet, the Shu Uemura x AMBUSH Rouge Unlimited Lipsticks are available in four shades, two of which have the Supreme Matte formulation and two of which have the Sheer Shine formulation. 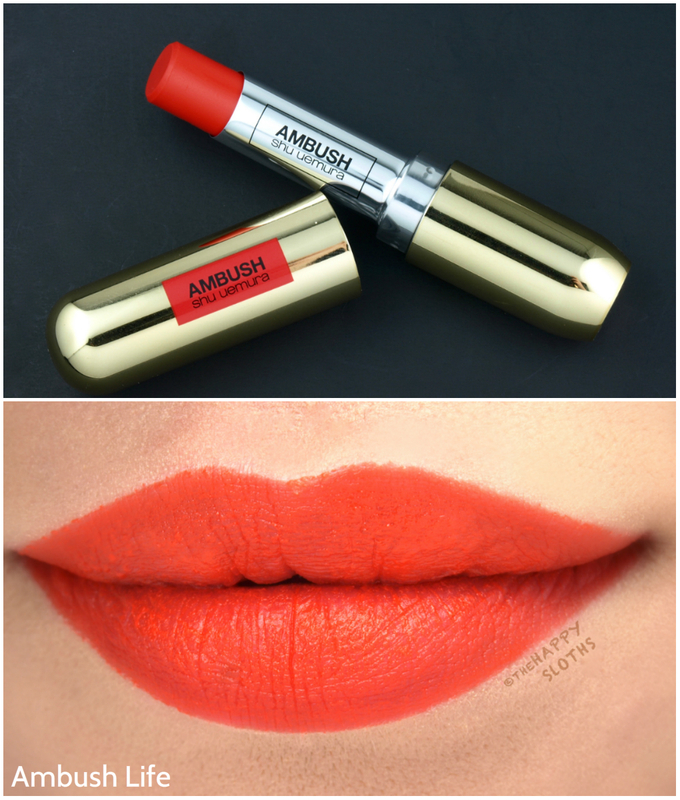 Ambush Life: This Rouge Unlimited Supreme Matte is a mandarin orange red. 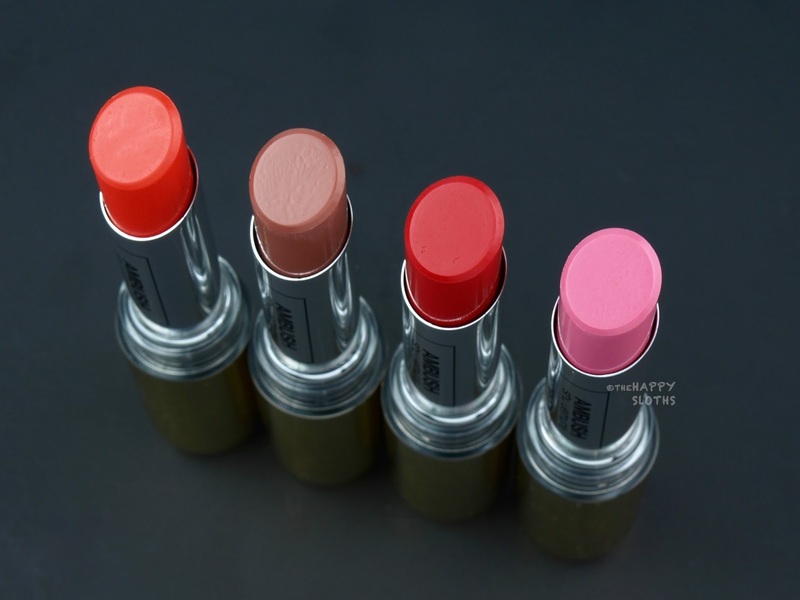 The formulation is sheerer than I expected and I found that the lipstick really clung to any dry patches on the lips, making the finish a bit dry and uneven. 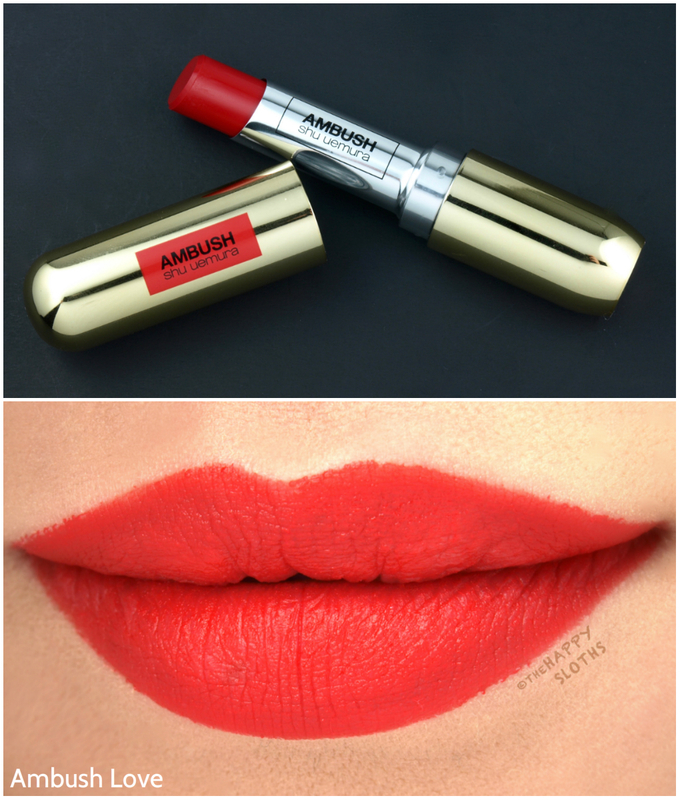 Ambush Love: A gorgeous bold red, Ambush Love is another Supreme Matte. 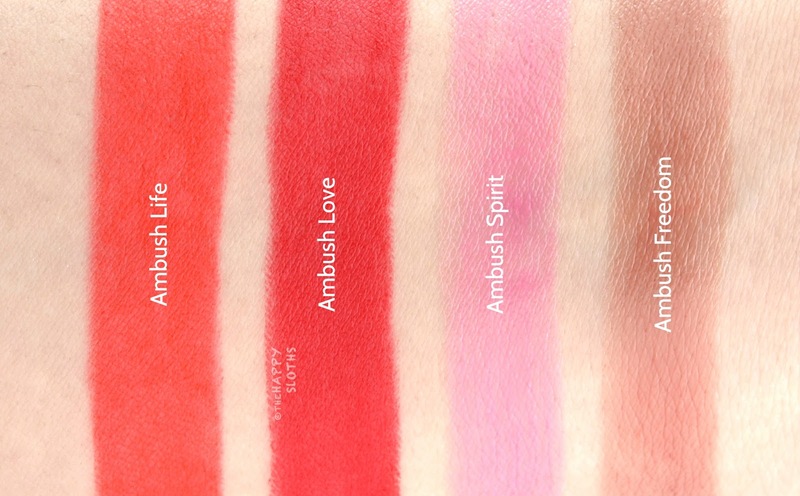 The pigmentation is a lot more intense as compared to "Ambush Life" and the texture feels slightly more moisturizing as well. 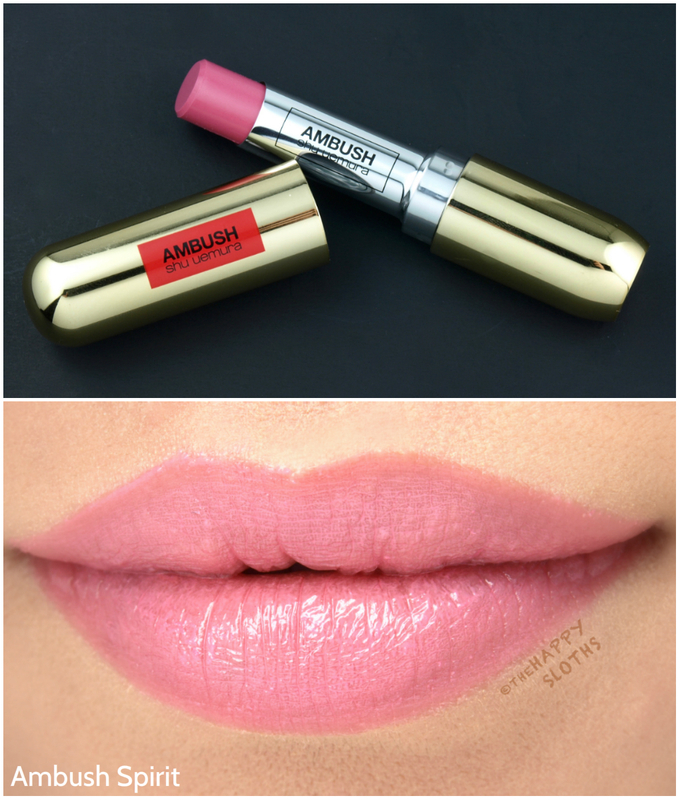 Ambush Spirit: This is a Rouge Unlimited Sheer Shine in a pale baby pink. The formulation is very moisturizing but the color is kind of patchy. 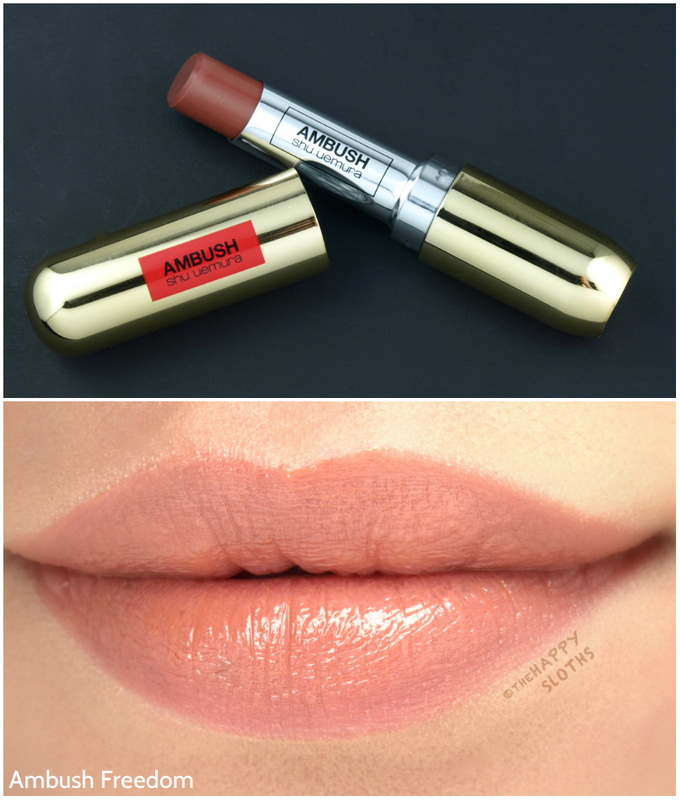 Ambush Freedom: Another Sheer Shine, Ambush Freedom is soft brown beige. The formulation is hydrating and even and the color is very flattering as well. 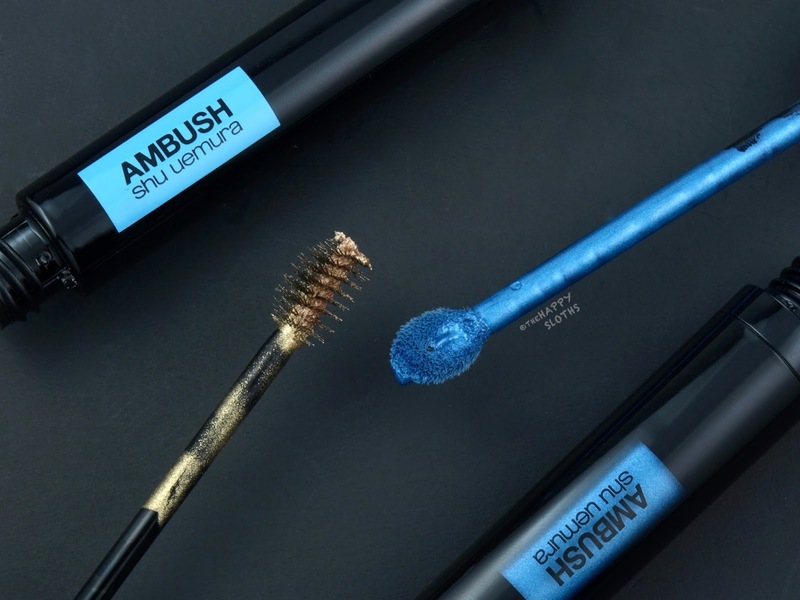 Shu Uemura x AMBUSH | Rouge Unlimited Sheer Shine in "Ambush Life"
Shu Uemura x AMBUSH | Rouge Unlimited Sheer Shine in "Ambush Love"
Shu Uemura x AMBUSH | Rouge Unlimited Sheer Shine in "Ambush Spirit"
Shu Uemura x AMBUSH | Rouge Unlimited Sheer Shine in "Ambush Freedom"
Definitely the most unique item from the range, the Eyebrow Manicure is a colored eyebrow mascara available in two shades. "Classic Gold" is a pale rusty gold. The sparkly formulation is pretty sparse as compared to "Pure Silver", a true silver metallic shimmer. I have some seriously sad eyebrows so these don't come very useful to me but I'm sure there are some daring makeup lovers out there that may enjoy the concept. 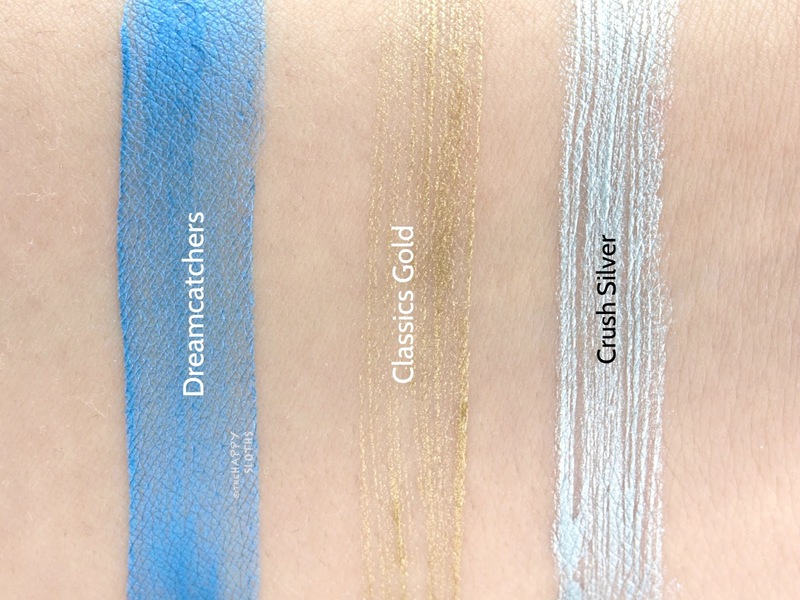 A limited edition shade of the new Shu Uemura liquid eyeshadow, the "Dreamcatchers" Eye Foil is a lightweight and creamy eyeshadow that sets to a transfer- and smudge-proof finish. The shade is a gorgeous metallic blue. The formulation is a tad sheer but the pigmentation is buildable. 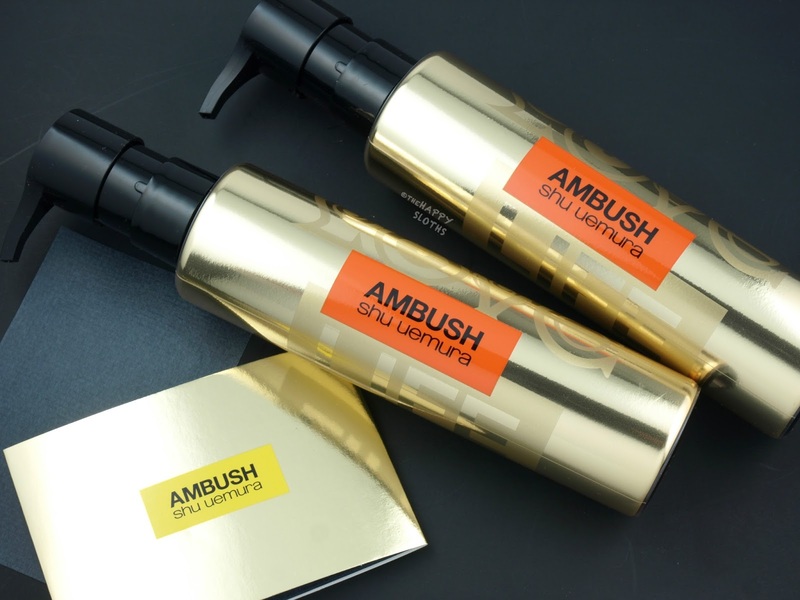 Available in the 150ml and the 450ml size, these cleansing oils are wrapped in a shiny gold label printed with various AMBUSH patterns and motifs. The limited edition packaging is available for both the Ultime8 Sublime formulation and the Anti-Oxi+ Skin Refining formulation. Shu Uemura makes the best cleansing oils I've ever tried so it's always nice to see the brand releasing new, limited edition packagings. Last but not least in this collection is a packet of fancy blotting papers. You get a total of 50 sheets and they are encased in a shiny gold folder. The blotting paper itself is actually black and it's pressed with an AMBUSH pattern. The quality of the paper is superb but I honestly can't say that the $25 price tag is justifiable.